Maritime tradition meets modern technology: Laco Navy watches. 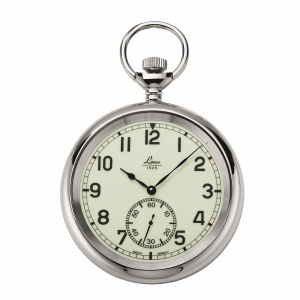 Since the 1940s maritime pocket watches have been enabling sailors to perform nautical observations and measurements at different points on a ship's deck. Using these highly precise pocket watches, the exact time of the stationary time measuring station was transferred to the built-in ship's chronometer when in port - these then were the most accurate clocks at sea. The design requirements were established and inspected by the Marine Naval Observatory in Hamburg - from the dial and the hand through to the housing. The tests for resistance and the accuracy of the clock mechanism were also carried out by this institution, which was founded in 1887. Today's Laco maritime watches are based on the classic design that was once prescribed by the German Marine Observatory in Hamburg. 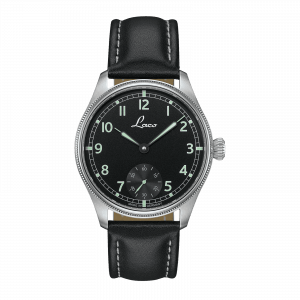 To ensure optimal readability even in darkness, in the 1940s the dials were additionally and completely fitted with active luminous material. This provided unique and optimal readability even in the dark. Today only inactive luminous paints are used on specific components, such as pointers or numbers. They become charged by light and exhibit an impressively long-lasting afterglow. A shining example of special radiance. If the name is the agenda: the Superluminova C3 is offered specifically for the watch industry, and represents the consistent and extremely powerful further development of luminova. This luminous material is applied, for example, on pointers, numbers or markers, and its main feature is its long-lasting luminosity - in a characteristically evocative and powerful yellow-green hue.  This luminescent material was developed by the Japanese company Nemoto & Co Ltd., and is produced in Switzerland by LumiNova AG. The luminova pigments are inorganic, phosphorescent pigments, which produce an afterglow on exposure to light. In artificial light or daylight electrons are raised to a higher energy level. A simple rule applies here: the longer the duration of light exposure, the longer the luminous material will illuminate. After the storage period has ended, the electrons revert to their basic state, releasing energy in the form of light. Since there is no chemical change during this operation, the pigments will theoretically retain their afterglow properties indefinitely. Thus, you can look forward to perfect legibility of the precise time, every day and every night.